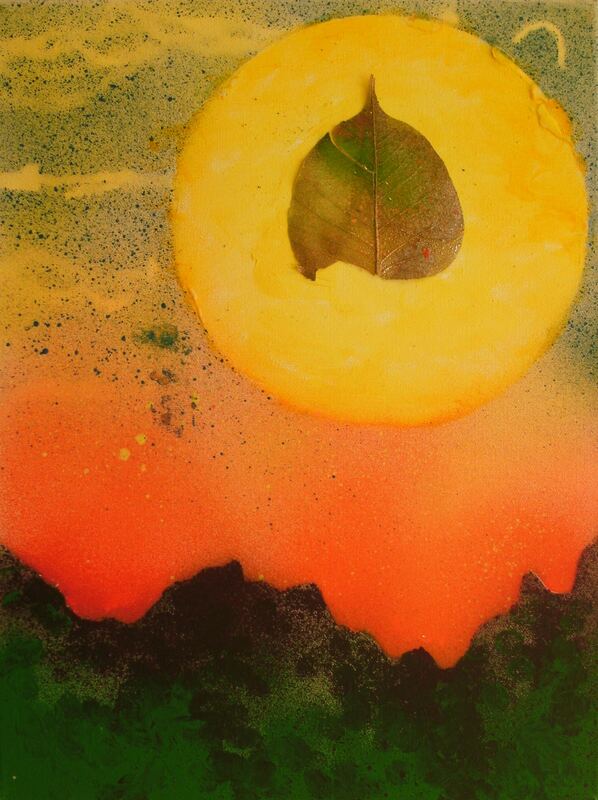 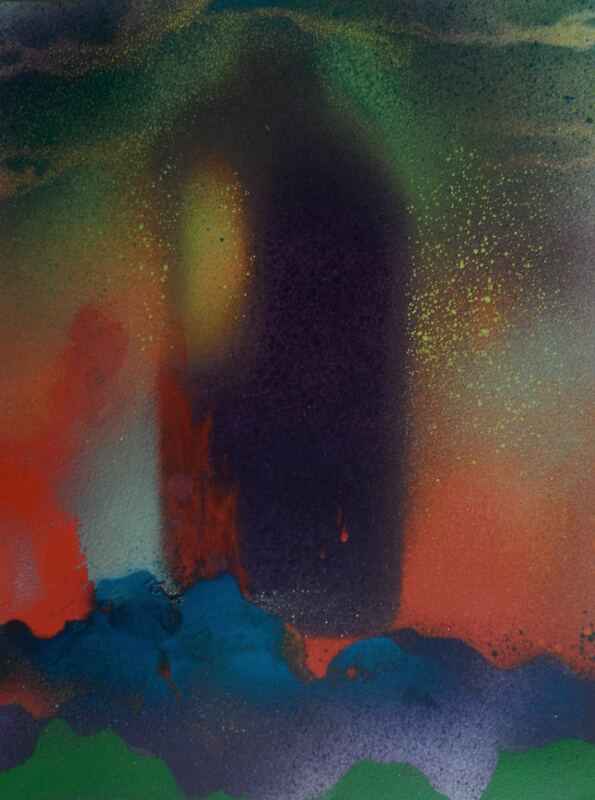 Mixed media composition depicting a dried painted leaf on a giant sun above a silhouetted mountain range on a box canvas frame. 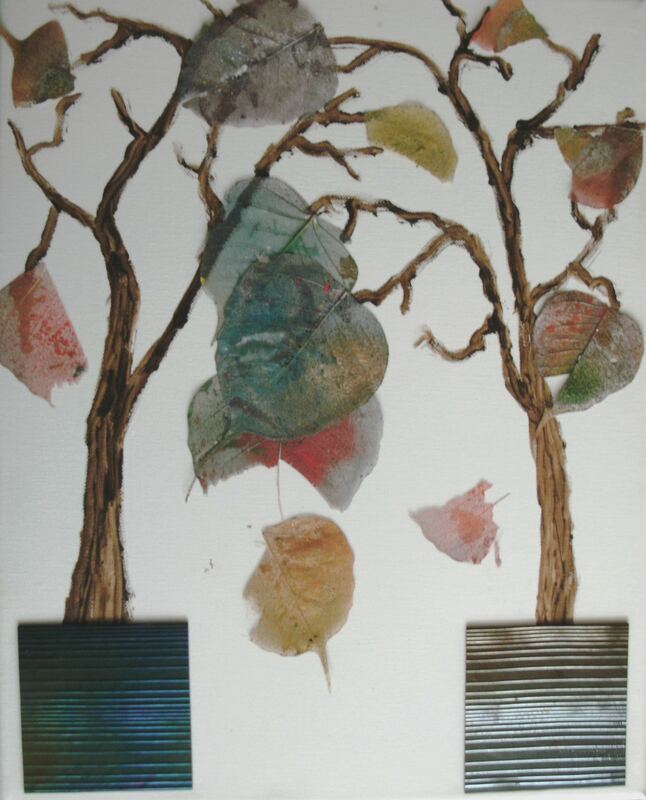 Mixed media composition depicting leaves falling from a small tree within a tub consisting of acrylic paint, textured Dichroic coloured glass and hand painted dried leaves on a box canvas frame depicting leaves falling from two small trees each growing within a square tub. 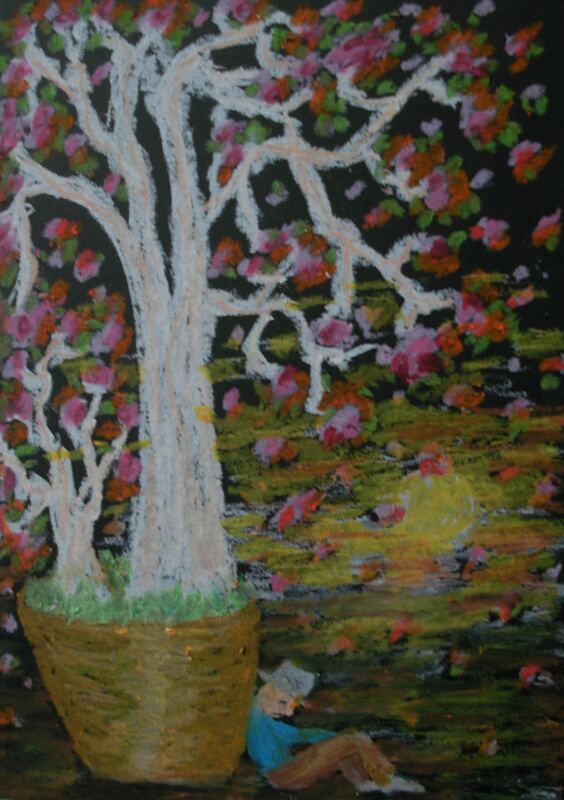 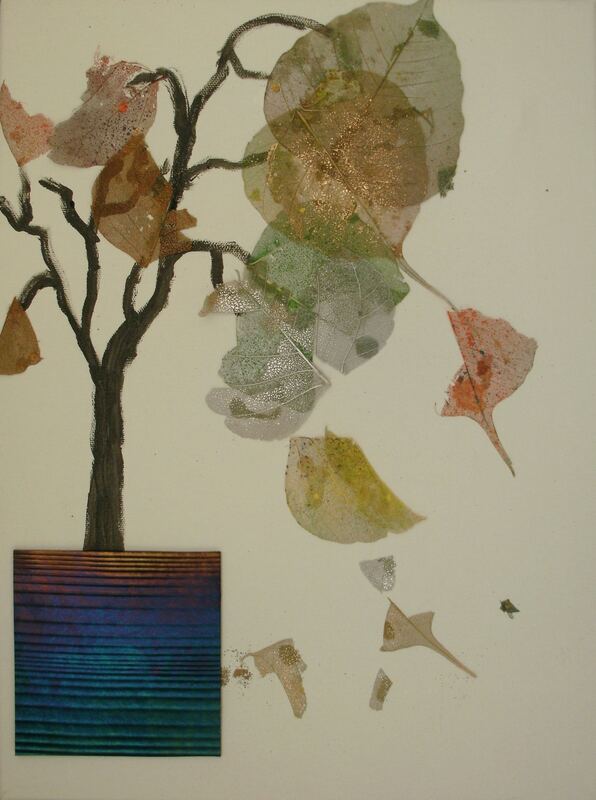 Mixed media composition depicting leaves falling from a small tree within a tub consisting of acrylic paint, textured Dichroic coloured glass and hand painted dried leaves on a box canvas frame depicting leaves falling from a small tree growing within a square tub.